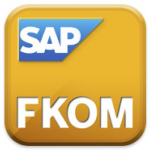 I have just returned from attending the SAP Asia-Pacific-Japan (APJ) Field Kick-Off Meeting (FKOM) in Singapore, an annual event where SAP presents their key strategies to energise their regional staff and partners. I came back with two clear messages, namely that SAP has reinvented itself as one of the top 3 IT solution platform vendors, and that through products like HANA, in-memory storage and processing is going to have an impact on data based applications and BI solution architectures as never seen before. Back in 2010 when SAP acquired Sybase, many people publicly asked “but, why?” For me the acquisition made perfect sense at the time – SAP needed a proper database underneath their application suite, and they also needed a better BI platform and information delivery mechanism to report from. A lot has changed in SAP since then. The ERP application suite which used to be SAP’s prime offering, is now merely one of 5 strategic pillars in their offering, with three of the pillars now being enabling technologies (namely Mobility, Business Analytics, and Database and Technology). In addition, the ERP suite and all their other applications have been vastly improved by tightly integrating and exploiting these new enabling technologies. Sometimes when a large software company acquires another, they just gobble up the customer lists and let the technology die a slow death. IBM’s acquisitions of Informix and Red Brick are classic examples, and Computer Associates didn’t do much better by Ingres either. However SAP hasn’t being sleeping on their acquired technologies. Each of the Sybase technologies – ASE, IQ, Anywhere and even Replicator and PowerDesigner – play a key role in the SAP enabling products stack. Together with HANA, they cover all the possible options in the database environment, from mobile to in-memory, from large OLTP to traditional data warehousing, and all of it very well optimized and tailored for the task at hand. Each of these products still has mega R&D dollars allocated to improve and optimize them even further. So if you’re going database shopping, expect quite a long list of options at your local SAP store. You can walk out with any combination of transactional, data warehouse, in-memory or mobile database, or combinations of these that make sense to your business applications. That is the beauty of how SAP are managing their collection of databases – each has its niche area of application, and they integrate and communicate very well to create a data based environment suitably tailored for any style of business. The same applies to the BI suite – the old BusinessObjects has had a facelift, with mobility added too, and Visual Intelligence (now popularly shortened to Visi) and Predictive Analytics added as well. What is more, even though some of these products are quite new, they have all ended up in Gartner’s leaders’ quadrants. SAP is sending out a serious message. They are on the way to become the key solutions platform supplier out there. In fact, functionality-wise they may have surpassed Oracle and IBM in some areas already, as you’ll read in the next section. Of course the rage at FKOM was the recent announcement of the SAP ERP suite now running on HANA. Now HANA has been around for a months, and it has been touted as an in-memory database for applications and/or analytics; nothing new there. However, the fact that SAP now runs their whole mission critical ERP suite on HANA, together with the announcement that they are busy constructing a 250TB (memory) machine to springboard new applications on HANA shows how significant this advancement is. We will now see solution architectures where you have high volume transactional applications hammering the HANA database at full speed, while users are running complex real-time dashboards and firing off in-depth advanced analytics models against that same database with almost no impact. For me as a Business Intelligence person, the HANA development is very important to take note of. Just as Big Data is a disruptive technology that drastically affects BI solution architectures, likewise the deployment of in-memory databases like HANA will drastically change the BI solutions we see going forward. In a HANA environment, old-style batch ETL jobs and multi-layer data warehouses are a thing of the past. Instead of focusing on optimizing large ETL runs, BI specialists will now have to focus on implementing real-time analytics, real-time data synchronization, and in-line complex event processing and analyses. In-memory database also makes it possible to run advanced analytical models straight against the database. To this end, HANA supports analytical views and various analytical functions. The days of generating large batch datasets for advanced analytical modeling may just be a thing of the past. The impact that HANA will have on BI solutions will be astounding – both in terms of savings and in efficiencies gained. The same applies to its impact on application architectures. But that is not all. SAP’s mobility offerings are equally impressive – I just didn’t have the space to cover it all here. Maybe it warrants a subsequent post. This won’t be the last you heard of HANA on this forum either.